Raimundo Carneiro Braga is one of the first disciples of Mestre José Gabriel da Costa. He arrived shortly after Mestre Gabriel began the works of the União do Vegetal in Porto Velho (RO), in 1965. Mestre Braga, as he is better known amongst the associates of the UDV, was one of the first to receive this title by the hands of the creator of our religion. In this new video of the Mestres of the Origin series, he tells how he arrived in Porto Velho, coming from the Northeast, and how he came to know the União do Vegetal. He also relates his first experiences with the Hoasca tea and his time spent in the company of Mestre Gabriel. “He was a friend who taught, brought doctrine and corrected when necessary. 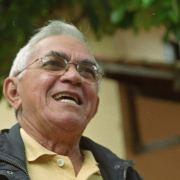 A professor; truly a teacher”, remembers Mestre Braga. Mestre Braga already occupied the place of General Representative Mestre of the União do Vegetal. 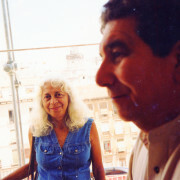 He is a part of the Council of the Recordation of the Teachings of Mestre Gabriel and presently is one of the General Assistant Mestres, who have the role of assisting the General Representative Mestre, Clóvis Cavalieri Rodrigues de Carvalho, in the assistance of the many nucleos of the UDV.